on our chieftain’s crimson sprawl. to barter with the blacksmith. in darkness sculpted their revenge. to slow her morning’s river walk. led up to mist and disappeared. 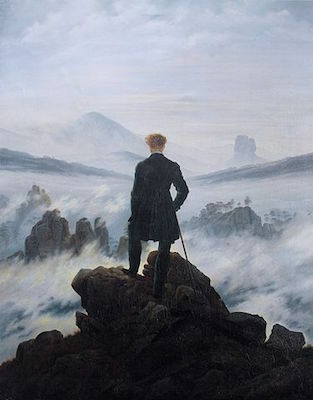 Note: “Creation Myth” is a tribal retelling of David Caspar Friedrich’s famous Romantic painting The Wanderer Above the Sea of Fog. both girls are Winter’s nieces. of what might pass through. Note: “Catafalque” was inspired by a journalistic sketch of Lincoln’s catafalque from 1865. The anecdote about Lincoln’s pallbearers taking their shoes off when they removed his casket from the White House to avoid upsetting Mrs. Lincoln is factual and can be read in Thomas J. Craughwell’s Stealing Lincoln’s Body. 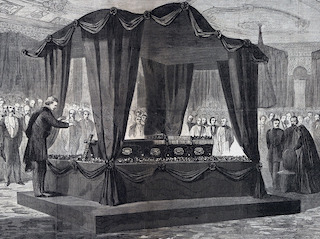 The engraving of Lincoln’s Funeral Service at the White House, from Harper’s Weekly Magazine, can be found, using The Civil War Research Engine, in The House Divided Project at Dickinson College, Carlisle PA.
passing chalices brimmed with sorbet. our rubied fists to brace our yawns. 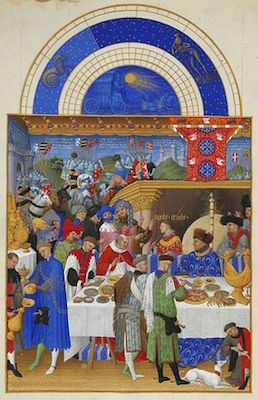 Note: “The Sons and Daughters of Unimpeachable Light” satirizes the Limbourg Brothers’ Tres Riches Heures du Duc de Berry. The page displayed here, Janvier, is from “Labors of the Months,” the section illustrating the various activities undertaken by the Duke’s court and his peasants according to the month of the year. cables anchored in the ceiling. of the Pistoian master’s name. saucers smashed in a wheat field. to spot amid exaggerated ribs. to kiss the frozen mane. 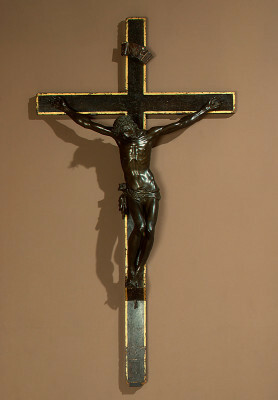 Note: “At the National Gallery” references a lion fountain and Florentine crucifix, both of which are located at the National Gallery in Washington, D.C. Regrettably, the lion fountain lacks an online image. from busted brushes on the bottom. so thick we roared each time he spat out blood. breast of a mountainside and left it. 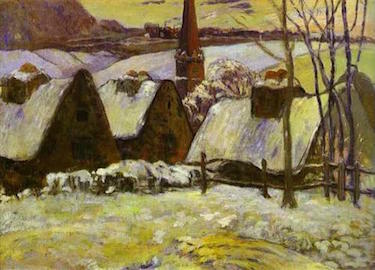 Note: “Gauguin’s Teeth” alludes to Breton Village Under Snow as well as recent news reports that some of the painter’s teeth have been found in a bottle at the bottom of a well. The poem is in the voice of a teenage Tahitian lover, of which Gauguin had many. beyond his houndstooth  inverness cape. a cane’s faint tap across the thoroughfare. 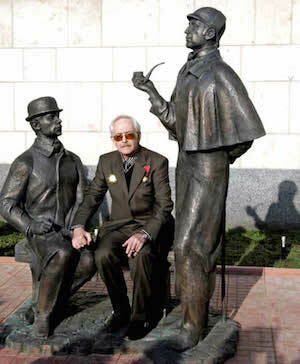 Note: “Comrade Holmes” responds to the Russian made-for-television films and corresponding Moscow statue of Sherlock Holmes as portrayed by Vasily Livanov. The photograph, displayed here, of the statue by Andrey Orlov is from Tumblr. It includes Doctor Watson as portrayed by Vitaly Solomin. The statue is located on the Smolenskaya embankment alongside the Embassy of the United Kingdom in Moscow. We heard some voice proclaim the dawn was ours. of all that stalked and crawled belonged to us. We beamed, tracing one another’s ribs. we willed his voice to barter with our shame. we learned the shadow voices were our own. 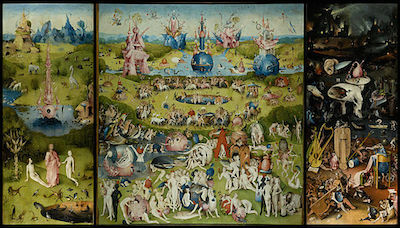 Note: “Adam’s Apocrypha” is in conversation with Hieronymus Bosch's The Garden of Earthly Delights. Adam Tavel won the Permafrost Book Prize for Plash & Levitation (University of Alaska Press, 2015). He is also the author of The Fawn Abyss (Salmon Poetry, forthcoming) and the chapbook Red Flag Up (Kattywompus, 2013). Tavel won the 2010 Robert Frost Award and his recent poems appear in Beloit Poetry Journal, Sycamore Review, Passages North, The Journal, Potomac Review, and American Literary Review, among other places. He can be found online at adamtavel.com.